Medical Debt Affects A Large Portion of Americans | The Law Office of Emil Fleysher, P.A. Medical Debt Affects A Large Portion of Americans | The Law Office of Emil Fleysher, P.A. 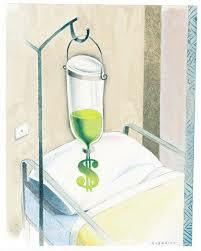 Million of Americans are having a hard time getting loans due to their medical bills bring down their credit scores. In a new report of compiled data provided by the Consumer Financial Protection Bureau, close to 20 percent of U.S. shoppers are in debt due to unpaid medical bills. Many Americans seem to be confused by the bills that insurance companies and hospitals are providing for the cost of their treatments. This confusion is causing lower credit scores and making it much harder for Americans to get loans for homes or automobiles. $1,766 is the average amount owed for people who only have pending medical bills. Those who have unpaid medical bills followed by additional debt such as a credit cards and such, average more in the $5,638. The majority of all debt in credit reports comes from unpaid medical bills.